It’s another Grainline pattern to add to the Scout Tee versions one, two and three and the Alder shirt dress versions one and two. I’m adding a Talvikki/Linden mash-up in a gorgeous French Terry and an Archer popover variation in double gauze to the list too. 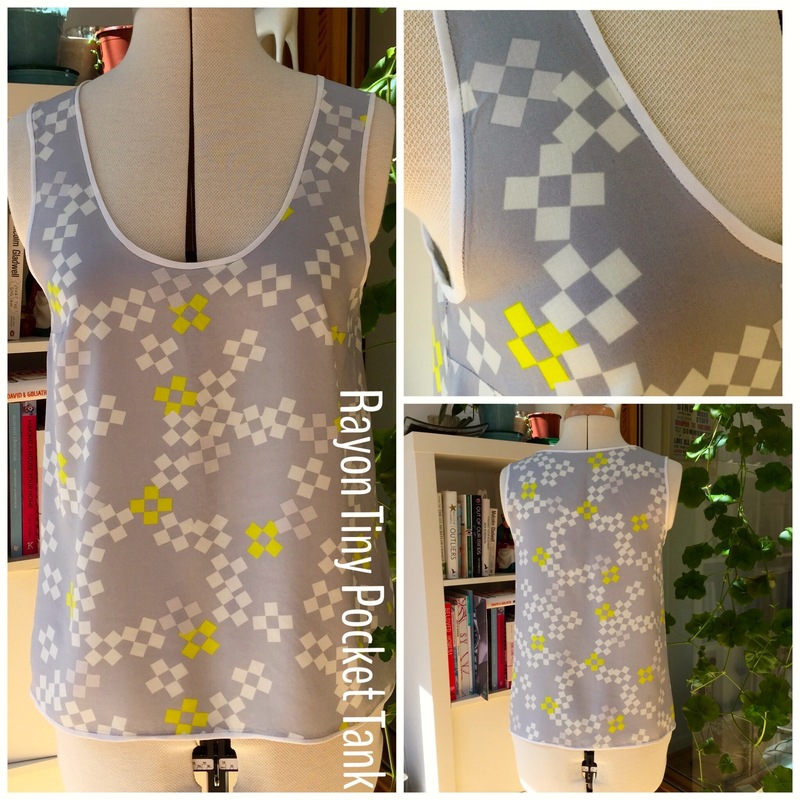 So this is version 2 of Tiny Pocket Tank pattern from Grainline Studio. Version one was made in Liberty tana lawn in 2 colourways and an added dropped hem at the back. 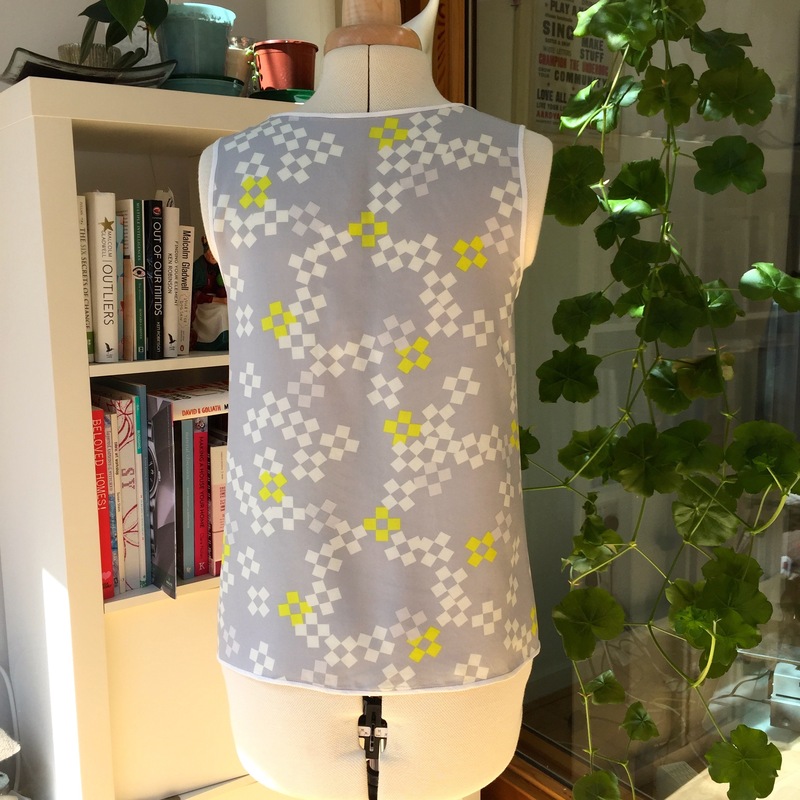 I had a teeeny amount rayon from Cotton and Steel’s first rayon collection Frock; I think it’s called pixel print neon left over from my BHL Anna dress. The fabric originally came from the Village Haberdashery and I LOVE it so didn’t want to waste a single scrap if I could help it. This top will be added to my ever-growing Grainline collection- so far Scout Tee one, two and three and Alder shirt dress one and two. 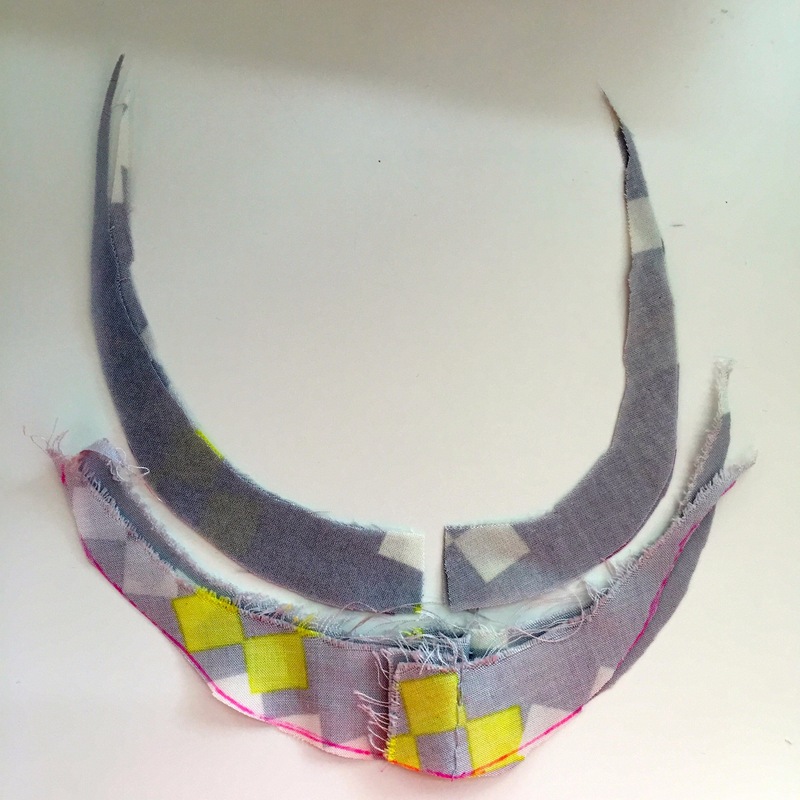 After a bit of folding, refolding, turning around and micro adjusting of pattern pieces I managed to squeeeeeeze a front and back piece out of what I had left (that’s the benefit of cutting whole pattern pieces, it does make that a lot easier). 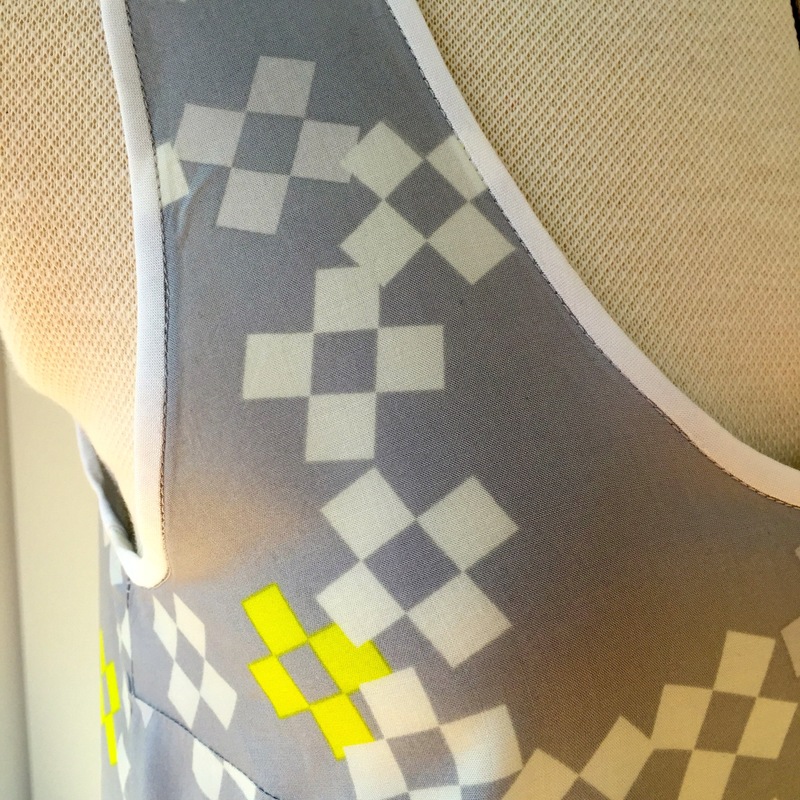 It’s a bit shorter than the original pattern but that’s ok- for layering with other tops it’s just fine. I also didn’t bother with the pocket on this version so technically it’s the Tiny Pocketless Tank. Finding a fabric to make binding out of was a bit of a challenge. So many shades of white and grey, none of which matched. I ended up with a plain white rayon made into half inch double fold tape. 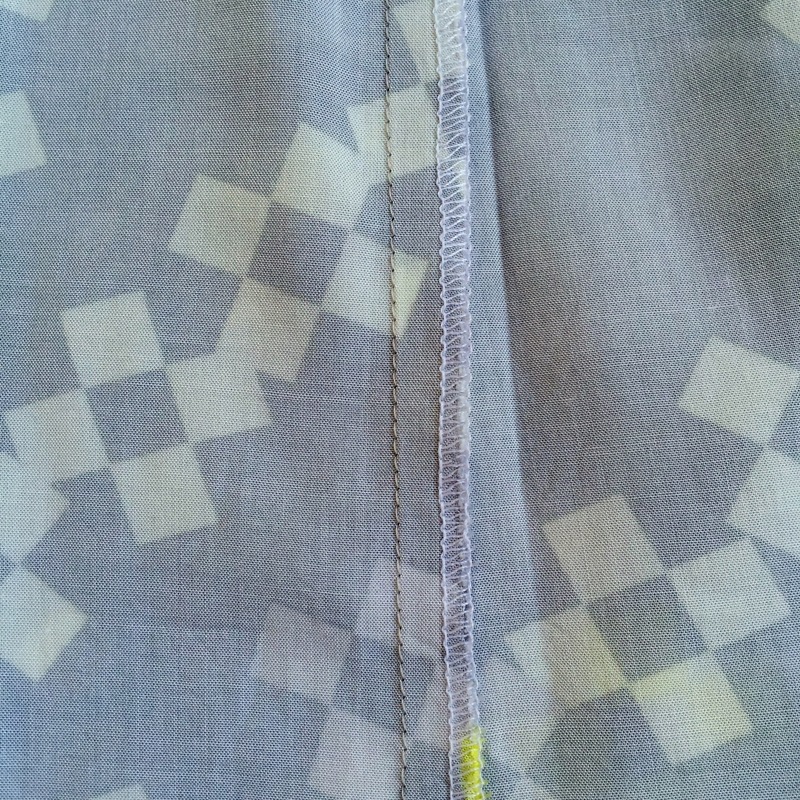 Making bias binding from rayon, even after starching isn’t that much fun as it turns out but it does makes beautiful binding that is easy to apply and sits beautifully. This time I remembered to adjust the armscyes to avoid the pulling I had on version one. I trimmed them after basting the side seams to check the fit. Then I trimmed them a bit more before I added the binding. I kept the cut-offs so I can adjust the pattern for next time- just as long as I don’t misplace them before that. 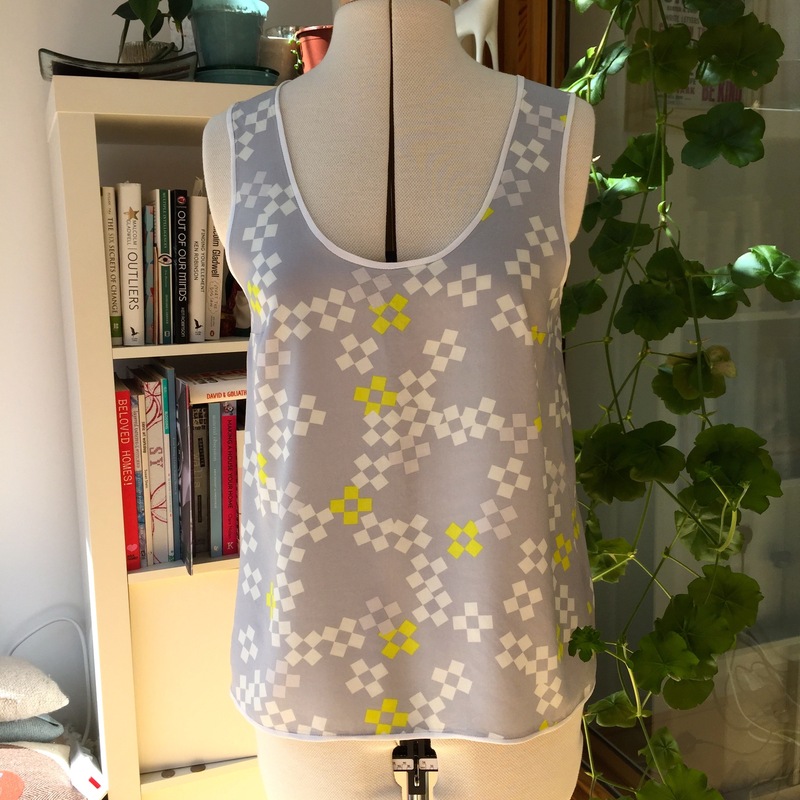 I used the overlocker on a narrow three thread stitch to finish the shoulder and side seams together then pressed them towards the back (same settings as the BHL Anna dress). Then it was on to the binding (all machine sewn this time), a quick wash and press to remove left over starch and that’s it. 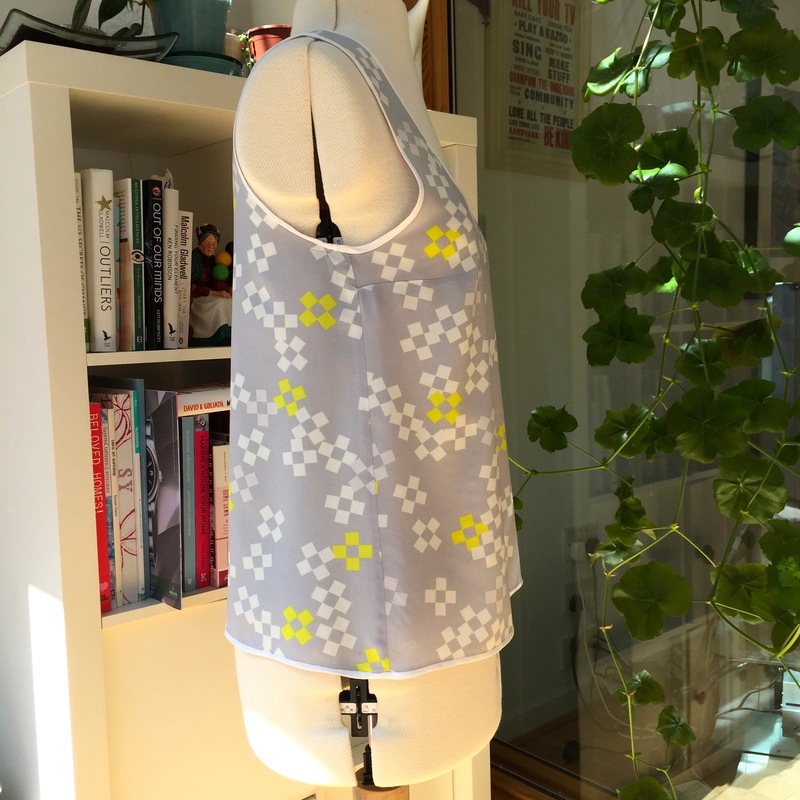 A lovely, drapey, easy to wear vest in a fabric I love.